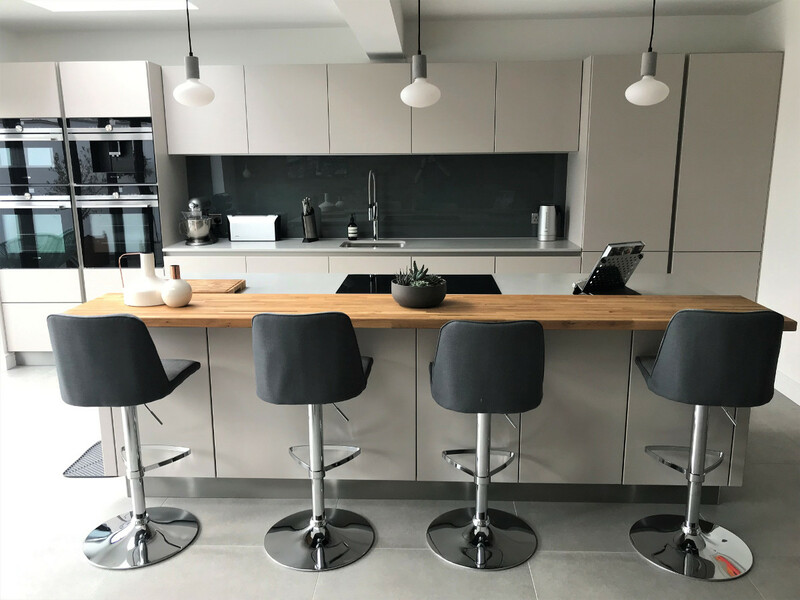 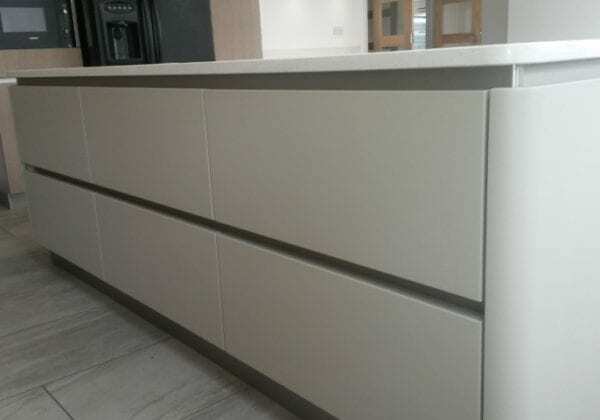 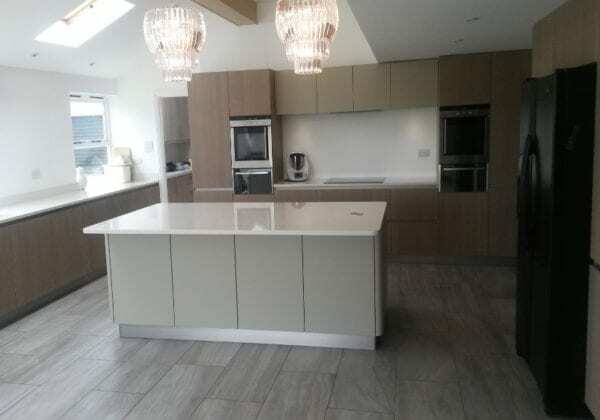 From our Next125 range, Cashmere beige satin lacquer finish on the island and wall units combined with Platinum oak saw cut veneer on the rest of the units. The worktop is Perlino from Quartz 30 mm with a 100 mm upstand on the sink run. 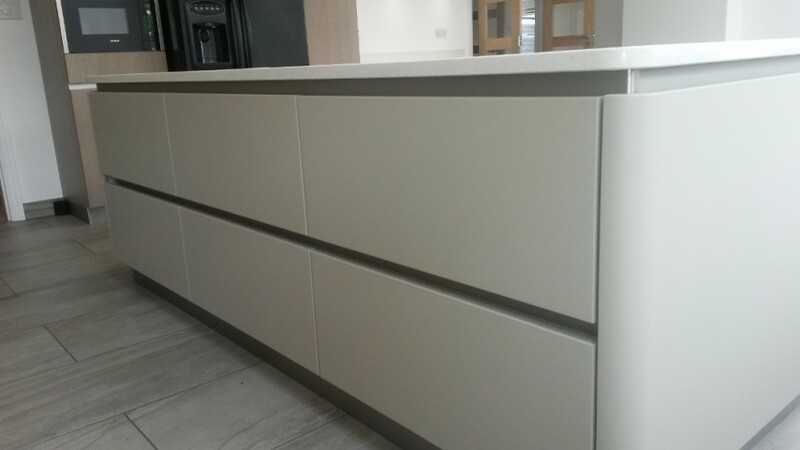 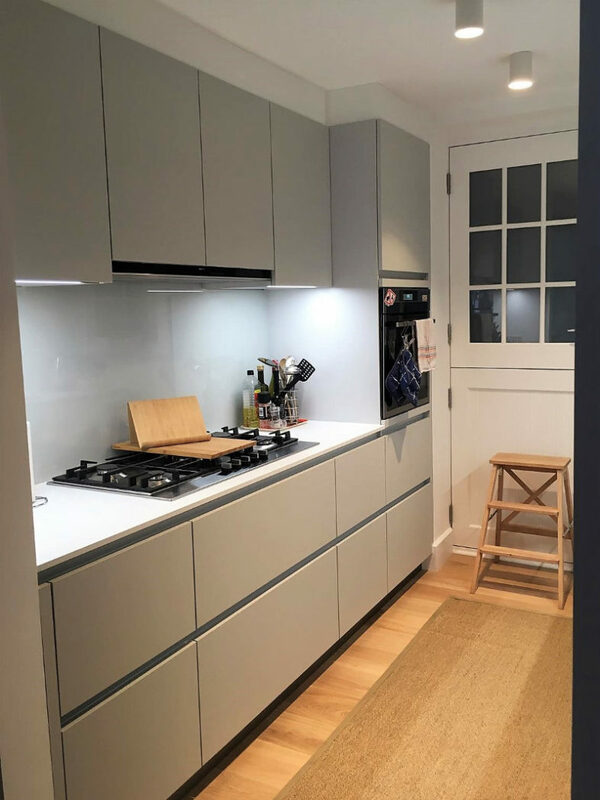 The wall units are two different heights 625 mm and 375 mm and feature factory fitted recessed LED lights.